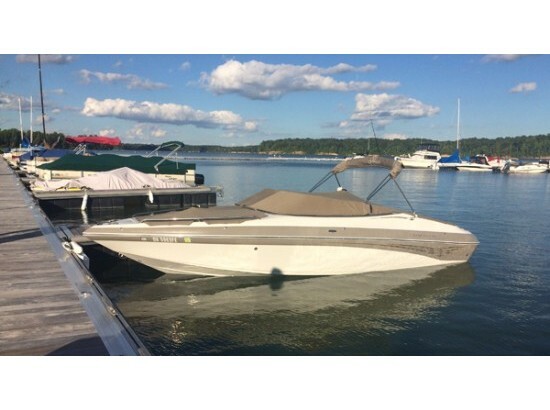 The Crownline 225 BR is a 3 owner boat that's only been used in freshwater. The seller maintains her very well. The impeller is replaced annually. Engine and outdrive were serviced in 2017. Cockpit and bow covers were custom made in 2017. The rear seats and hatch cover were reupholstered in 2017 as well. With a color matched trailer, this is one nice Crownline. Stock #164485 Beautiful Crownline with the 502 option, lowered tinted windshield, with under 500 hours. 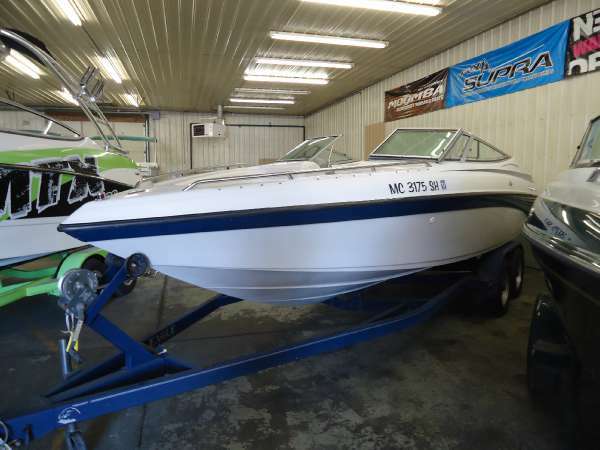 3 new batteries; 2 Agm If you are in the market for an express cruiser, look no further than this 2000 Crownline 225 BR, priced right at $27,300 (offers encouraged). 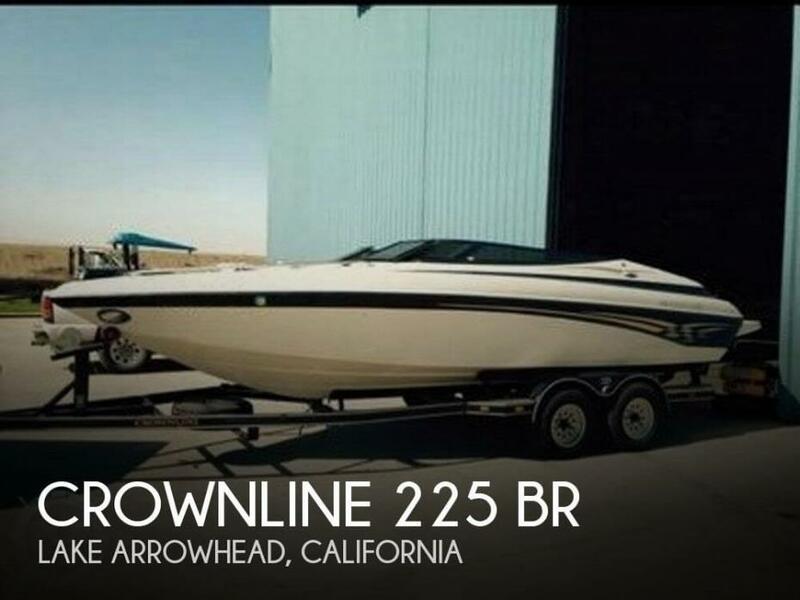 This boat is located in Lake Arrowhead, California and is in great condition. She is also equipped with a Mercruiser engine that has 480 hours. 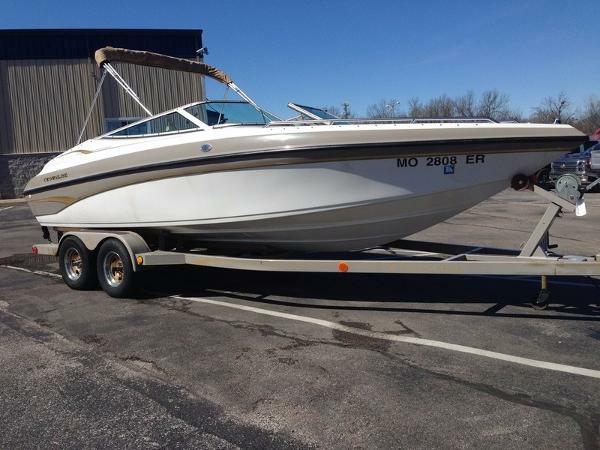 2000 Crownline 225BR Nice boat, 5.7l Mercruiser 250 hp, bravo 3 out drive, 2007 tidewater trailer included. Boat just went trough the shop, fresh tuneup and ready to go. 2000 Crownline 225 BR SOLD 2000 Crownline 225 BR Color: Tan/White; Features Include- Full Mooring Cover, Snap-On Bow & Cockpit Covers, Bimini Top, AM/FM CD Stereo, Digital Depth Finder, Driver & Passenger Flip-Up Seat Bolsters, Tilt Steering and Matching Tandem Axle Trailer. 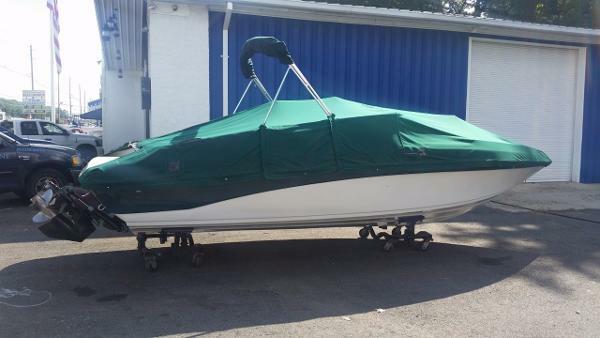 1998 Crownline 225BR SEE THIS BOAT IN OUR SHOW ROOM ON INDYS SOUTH SIDE OR CALL TOLLFREE FOR MORE INFORMATION AT 1 877 617 2786. DON'T LET THE AGE FOOL YOU! IT HAS BEEN WELL TAKEN CARE OF! REALLY MUST SEE!TANDEM TRAILER W/BRAKES INCLUDED.AVERAGE USE ABOUT 25 HOURS PER YEAR. - 250 HP! 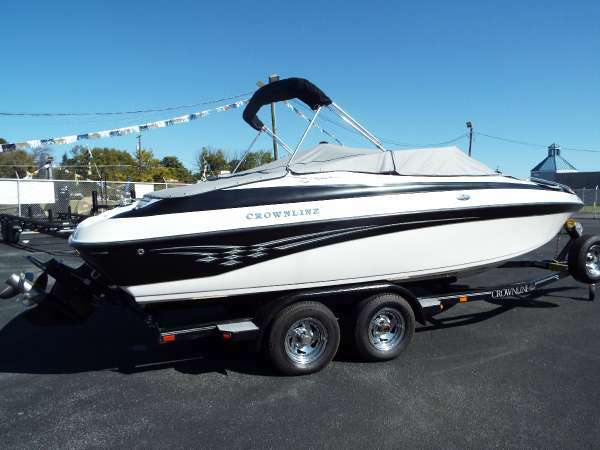 2002 Crownline 225 BR COMING SOON**** WITH A BRAND NEW RE-MANUFACTURED MOTOR THAT COMES WITH A 3 YEAR WARRANTY ON PARTS AND LABOR! YOU WON'T WANT TO MISS THIS ONE. BUY IT BEFORE THE WORK IS DONE. ALL WORK COMPLETED AT OUR SHOP! 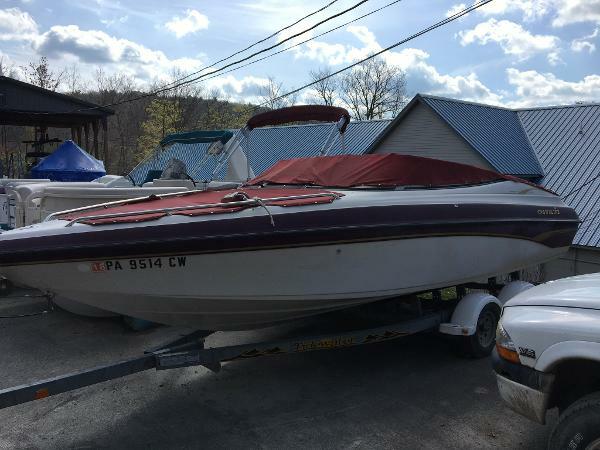 5.7 VOLVO PENTA (REMANNED JASPER ENGINE) FUEL INJECTED STEREO DEPTH SOUNDER DUAL BATTERY SWITCH BOAT COVER PRICED WITHOUT A TRAILER BUT HAVE A NEW ALUMINUM, TANDEM AXLE TRAILER AVAILABLE. 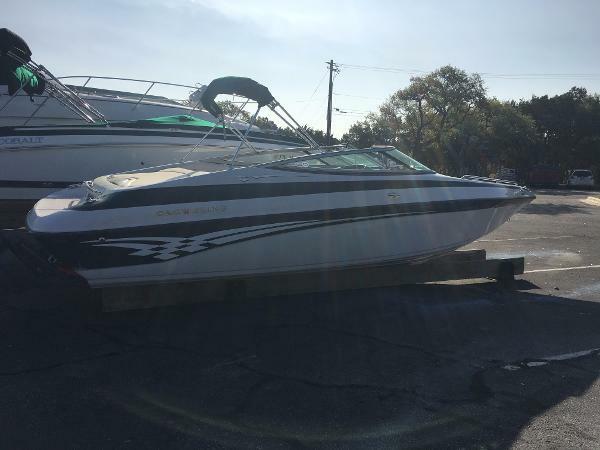 2000 Crownline 225 BR Must Sell! Black and beautiful, 5.7 Volvo Penta, Stainless, Captain's Call exhaust, Roadrunner tandem axle trailer, Bimini Top, Bow & Cockpit Covers, very low hours. 1996 Crownline 225 BR This is a nice crownline equipped with a rarely optioned 5.7L fuel injected mercruiser with a bravo one drive, docking lights, am/fm stereo, super sport seating, bow and cockpit cover, matching trailer, and more. Please call or e-mail for more information. Delivery is available. 2004 Crownline 225 BR The crème puff has arrived. 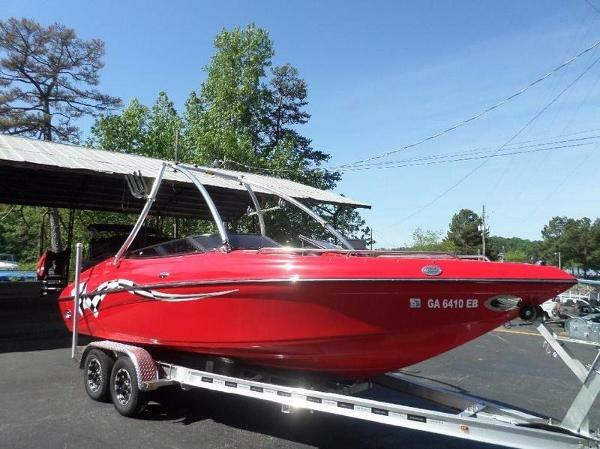 If you want a go fast boat, you better stop in and take a look at this one! Only 132 hours on this baby. Complete with bimini top, brand new cockpit and bow covers, Quick N Quiet thru hull exhaust, Mercruiser 350 Mag MPI with a Bravo III drive. Upholstery is beautiful. This is one awesome pre own. Tandem axle trailer with dual disc brakes. Fully integrated swim platform with wet storage, an easy in-and-out fully recessed hidden swim ladder, all contribute to days of fun in the sun. Behind the walk-thru windshield and curtain are a full complement of instruments at the helm and our new matching flip-up adjustable driver and passenger bucket seats, tilt steering wheel and snap-in cockpit carpet. It doesn't get any better than this at 22 feet. - Feel the SIZZLE!! 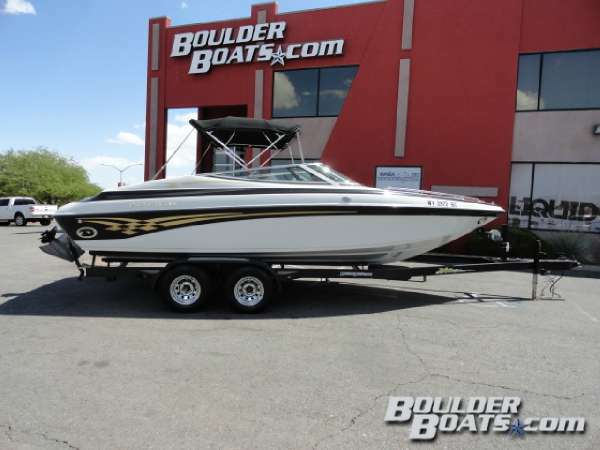 2005 Crownline 225 BR in Moonstone base with Moonrock accent with a Mercruiser 350 MAG (300 HP) and Bravo 3 sterndrive sitting on a custom color matched Prestige tandem axle trailer with brakes. 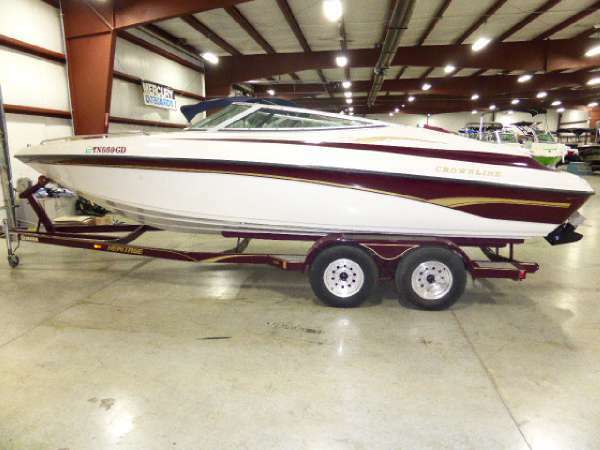 Sold new here in 2005, this boat is in excellent condition and is loaded up with options including a super sport interior with pull out rear seats, (2) bucket seats with flip up bolsters, fiberglass liner with snap in carpet, extended swim platform, bow filler cushions, deluxe woodgrain dash with full instrumentation, digital depth sounder, Premium stereo upgrade with transom remote, dual batteries with switch, captains call side exhaust, bimini top, color matched snap on bow and cockpit covers, and more! 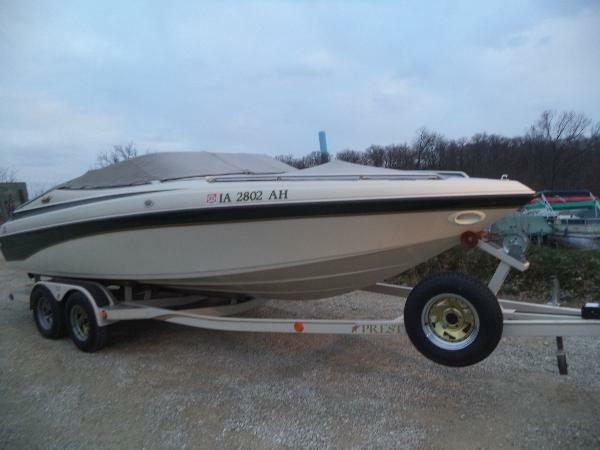 With only 145 hours, this boat is in excellent condition and was always stored indoors. The 225 was Crownline's best performing hull design. Runs extremely well and also rides well in rough waters. Located in our Omaha, NE store. 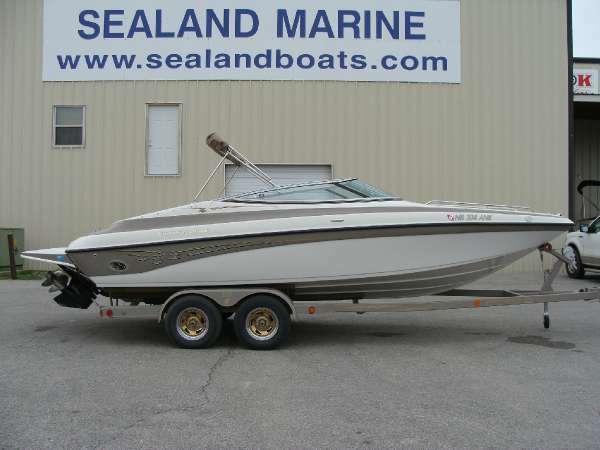 - Big, Deep 22' Bowrider in Excellent Condition!